March was indeed mad the first weekend of the NCAA Basketball tournament, but one thing you can count on is a Naismith Award finalist to lead his highly seeded team through to victory. 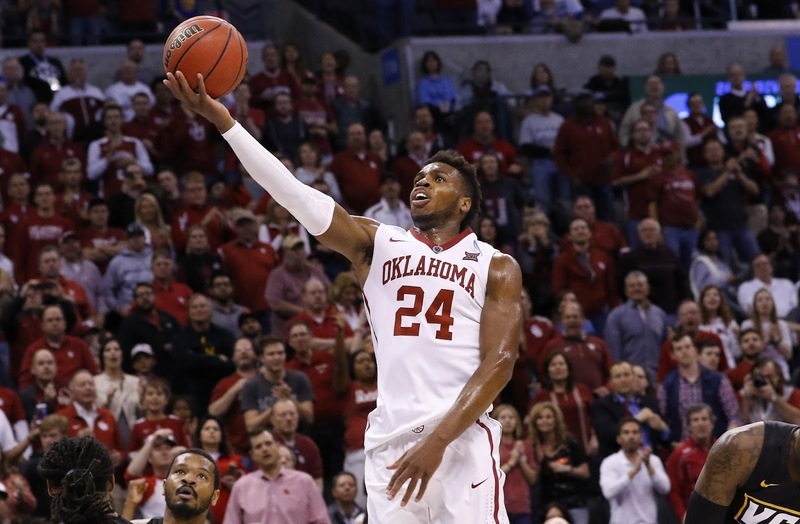 Buddy Hield ensured that his Oklahoma Sooners bracket wasn't busted as he led his team to the Sweet 16. In the process, he poured in 63 points (31.5 PPG, tops in the tournament) while snagging an impressive 12 rebounds. His 36 against VCU were all needed as the Sooners squeaked by with a 4 point win. And he was an effective shooter, knocking in 56% of his shots from the field, with 9 3-pointers in 20 shots, putting a dagger in California State Bakersfield and Virginia Commonweath's upset hopes. And don't bother fouling him, as he was 84% from the line in 19 shots. Hield looks to continue to lead the capable Sooners onward to the Final Four in Houston, and is our Longhorndave Sportsman of the Week!